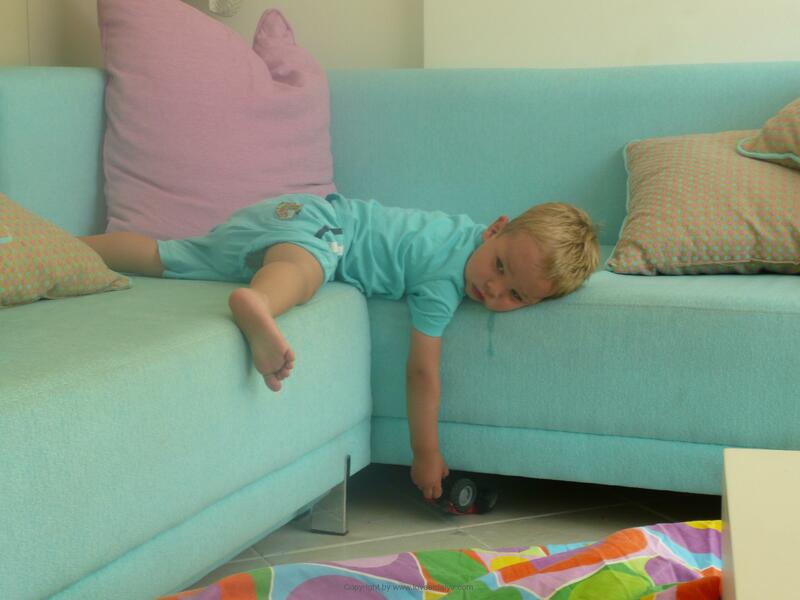 How exciting it is to travel with small children, it can also be quite stressful. Especially if you are going to a new and foreign country, that you have not been to before. At least I can remember when our children were small and were going to Turkey for the first time. It was anxiously provoking beyond all limits – even though we had been there several times before, we knew the country in and out, could speak the language, etc. Before we left to the airport, we were flaring the heads of each other on our way out of the door of pure nervousness. 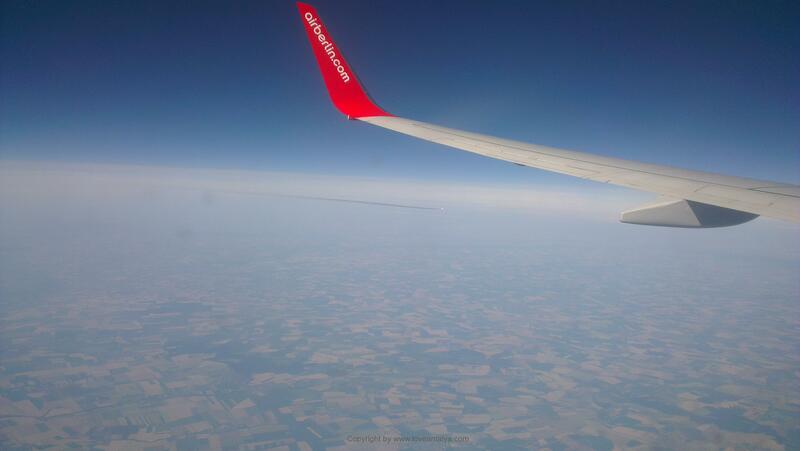 And we had packed as if we were going to be away for several months and not just for 10 days. We almost took EVERYTHING with us – food, milk powder, oatmeal, baby food, diapers (do you know how much place diapers for 1 infant for 10 days demands in a suitcase ?!! 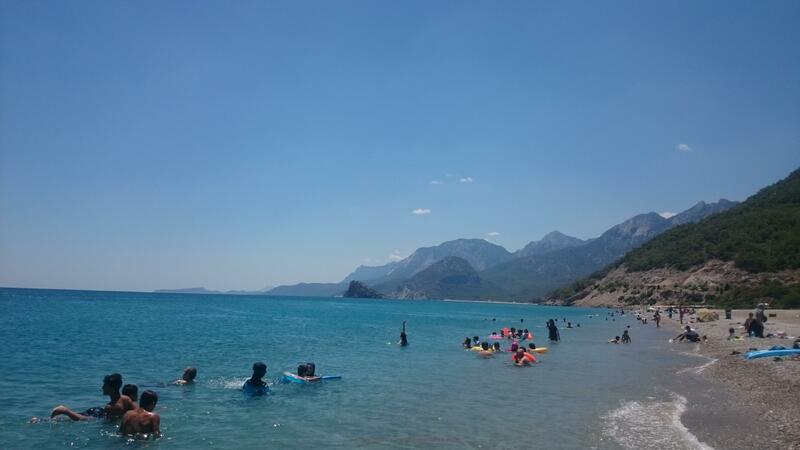 ), wet tissues, arm floats, sun cream without perfume and phthalates, small sweet bathing sandals, so no burned feet on the hot stones, sunglasses, dustbags, baby alarms, mosquito nets, lots of clothes (for could we even wash?) etc, etc ..
Needless to say, but of course it was WILDLY exaggerated and we could easily have avoided more than half of our luggage. 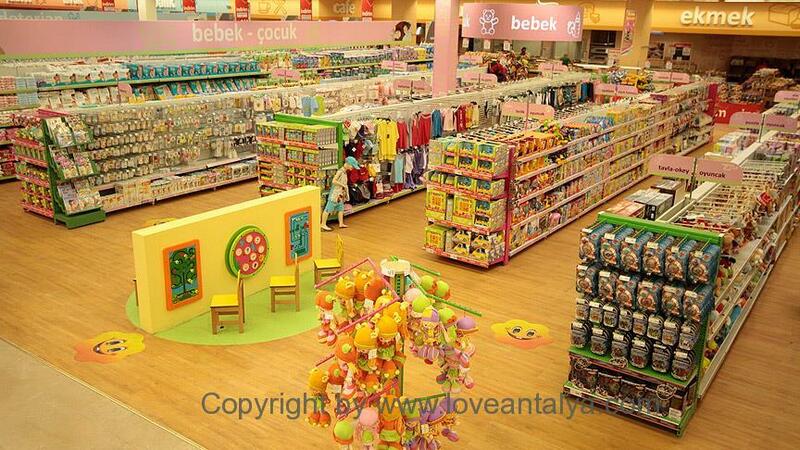 In fact, there are also excellent supermarkets, baby shops etc in Turkey, that has everything you need (and often much cheaper than at home). It was therefore we became regular customers in Migros. They had a huge department, where we could get ALL what we needed for both baby and household – even without perfume and toxic substances. It was quite a challenge to find ex. wet napkins and diapers WITHOUT perfumes and miscellaneous, Because all is added some kind of scent. Typically Turkish – if it just smells clean it’s clean. Nowadays you can get a lot more organic, than when our children were small. So the job has become a bit easier. And most of it is within reach. I would still like to bring things to the first couple of days, until you are settled and know your way round. But people are simply so friendly, so they will do anything to make you feel comfortable – especially when you have smaller children. The vast majority of Turks love children and can not avoid cuddle them (and maybe pinch them in the cheeks – you know, on such a great grandmother / aunt way). The children are welcome almost everywhere, and at most major restaurants there are also high chairs for them and tray tables so they can reach. In some restaurants there is even a playroom for the kids, several places with childcare so the mother and father can enjoy (the rest of) the dinner in peace. One of the things that always has amazes me is, that there are a lot of playgrounds in and around the city. Also in many larger settlements. It is primarily for the smaller children, but the older ones may also think it’s fun. Often there are various whimsical training equipments right next to the playground. It is a kind of public outdoor fitness room, which can be used at all times of the day. 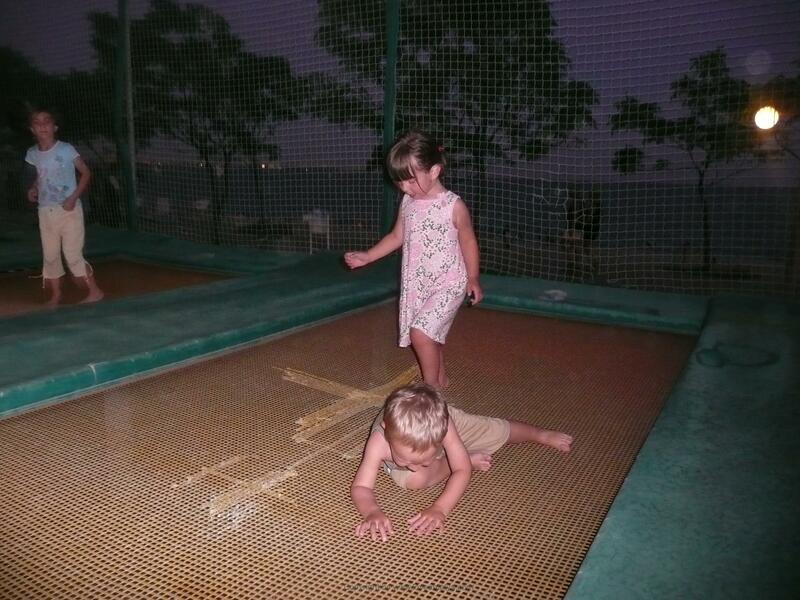 If nothing else, my kids always thought it was as fun to jump around on them as on the swings and slides (albeit a bit more dangerous, so close adult supervision is required). 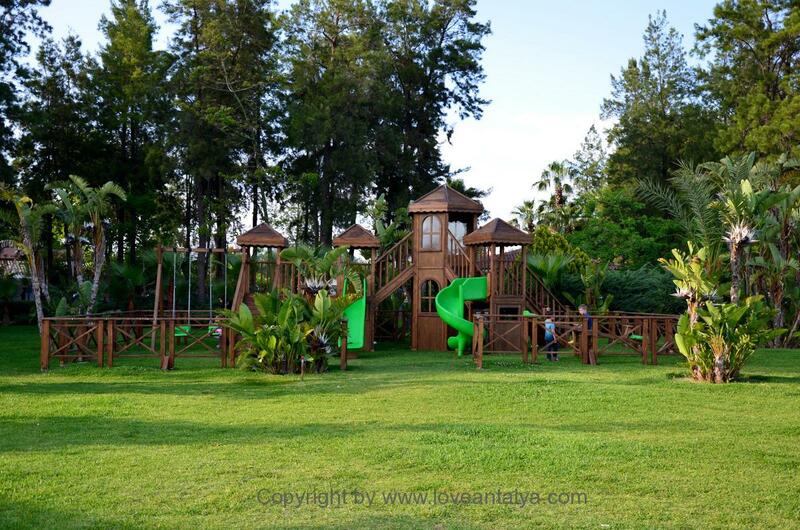 Be aware that the playgrounds are mostly used in the evening, as in summer it is simply too hot during the day. Many are open till midnight !! We have always had a great pleasure living in an apartment , when we are there – exactly one in this building. It is undoubtedly also very nice to stay at a hotel, where there are often childcare facilities, cots, entertainment and much more. But for us, it has just been a pleasent experience in an apartment, so we avoided all the stress with many people and could just be ourselves. Sorry Andee for drooling on your couch !! In fact, it was also very nice with so much space versus a smaller hotel room. That we could go up in the middle of the day after bathing since the morning, the air conditioning turned on, when it was warmest, making lunch and putting a DVD with a Danish cartoon, was totally invaluable. We got much happier children, who were fresh and rested after a couple of hours of sleep and ready for the evening’s experiences. We have never really experienced it as a problem to have children in a stroller (and we even had a big twin one). Ok, it could be a bit challenging in Kaleici’s steep, narrow streets. But it’s on with the “yes hat” and take it as an experience. Today there is also an elevator in the harbour, so you can get around a little easier. 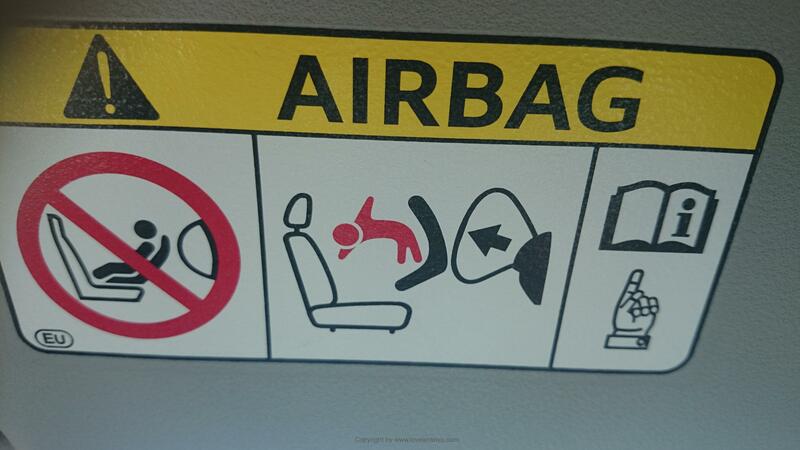 However, car seats are not a big deal in Turkey. So if you are going for a spin, ask for a specific one for your child. If it is the right size, etc. is a smaller detail. We have often seen it slip. And then you have to drive outside (or stay home). Of course, you must keep an eye on the kids – not least because of the heavy traffic. But you must also be prepared for someone to “kidnap” your child, for example, at a restaurant or cafe. Or, people try to get in touch with your child. But do not worry, they will bring back your child again. As a rule, there was just something they thought the child should see, have an ice cream, a piece of fruit or something. Again the Turks LOVE children and here you really see the Turks soft side and true I. Children are put on a pedestal and are allowed everyting (a little too much in fact). 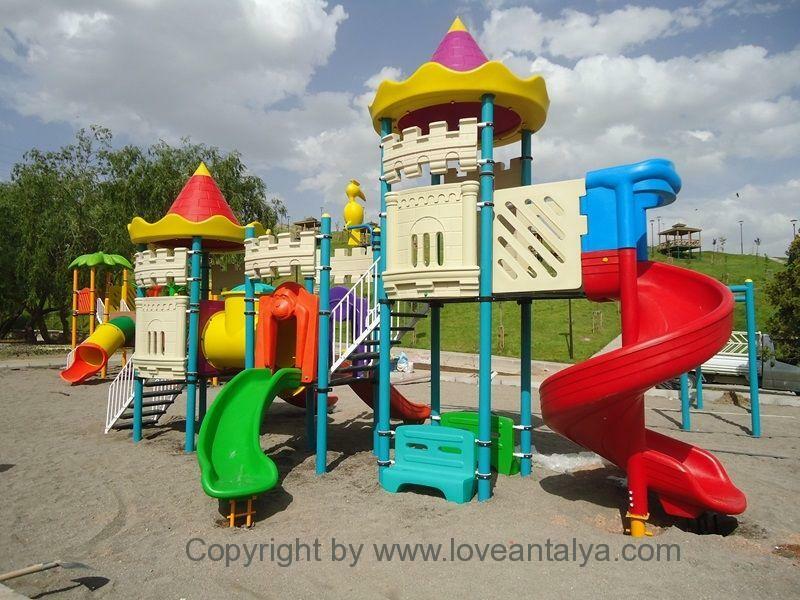 There are really many things to do with smaller children in Antalya. The beach or pool is of course always a hit and a the place, where you probably will spend most of your hours. But if you have any trouble getting out and experiencing a little with the kids, I can only recommend, that you take a look and seek inspiration in this post and on the blog. Since I wrote that post, I have discovered many more exciting things, including The toy museum right inside Kaleici near the harbor. It’s fun for children and adults to watch. The archaeological museum, which you can read about here, also has a lot of things to offer and small tasks and workshops for the children. The boat trips from the old Kaleici Marina in the Old Town are also a quite fun experience. Here you can choose between trips of 1 hour, 2 hours or 6 hours for few money. The large beach park at Konyaalti Beach, at the foot of Hillside Su hotel has large trampolines, that can be rented for 10 minutes at a time. Here we have spent a lot of time, when the kids were smaller. Here there are also cute little the-houses and restaurants where desserts, ice cream and fruit plates are in high course. And finally, there is the sparkling new cable car, which goes directly from Sarisu beach (right at the end of Konyaalti beach) and up to the little mountain Tünektepe about 618 meters up. That’s a really fun experience and something they will soon forget. The trip there takes only approx. 10 minutes and you can get both cake and soda at the top while enjoying the view. 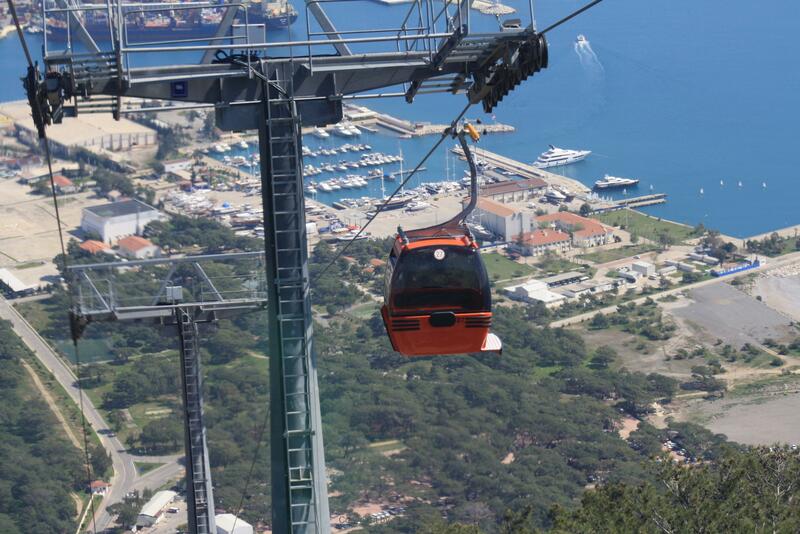 I promise, that I will have to write a comment about the cable car in the near future. So just go with your kids …. You will survive, have a nice time and experience new and exciting things as a family.